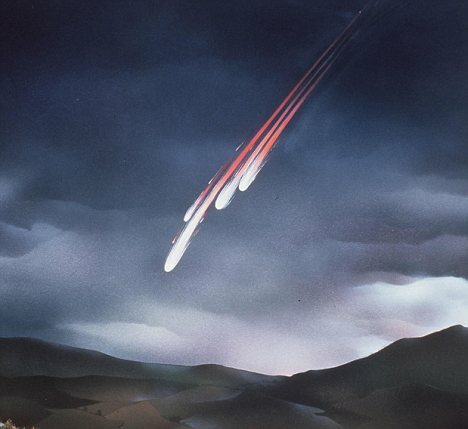 Are meteors or fireballs making weird noise when passing through the atmosphere? And what about meteorites. 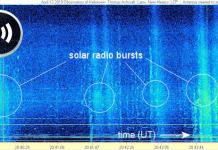 Could their disintegration be linked to the strange sounds in the sky phenomenon? 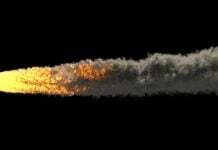 Artist’s impression of a meteorite falling to Earth. 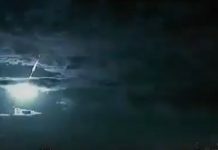 During a witnessed fall, a meteorite presents an incredible show. Sometimes falls are also accompanied by weird sounds such as whistling, popping, booming, rumbling, humming, and roar. These sounds result from the meteor’s high velocity which may attain the ‘sonic boom’ velocity with its associated ground shaking or windows rattling. Below you will find a compilation of sounds reported by witnesses of meteorite falls. Reading the different description you will also probably come to the conclusion that some of the Strange Sounds from the Sky heard on Earth may be related to meteorite falls (rumbling, metalic sounds, loud booms, thunder-like noise, roaring noise, aeroplane sound). The following loud noises were created by meteors, fireballs or meteorites.